::: Off the Radar :::: Shout it Out Loud! 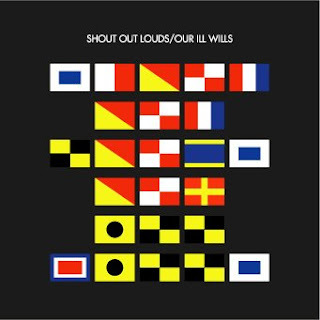 Been digging the New Shout Out Louds album 'Our Ill Wills' released recently on Merge Records September the 11th. Their from Sweden, it's their sophmore album and no slump here, it's a great pop/rock record. They worked with Bjorn of Peter, Bjorn & John fame behind the controls and you can tell. Quality stuff. 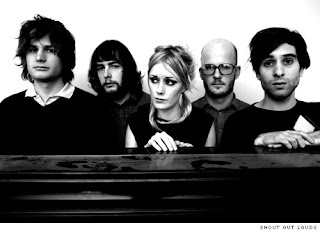 The lead singers voice reminds me a whole lot of Robert Smith and at times 'Normandie' of Conor Oberst from Bright Eyes, but it's ok they still got their own thing going. They have a little of everything here. Some slow jams 'Impossible' some dancey ones 'Tonight I Have to Leave It', but mostly they're just real good sing-alongs! Great car material. The Kleerup Remix of 'Tonight I Have To Leave It' is sick! I posted it in a Mixtape a couple weeks ago. If you didn't get it, you should! When that chorus kicks in, out of hand! Here's a Live Performance I found of 'Tonight I Have to Leave It' complete with strings and party hats. Studio has done a remix of Impossible, maybe the best remix ever made. doesn't anyone else see Impossible's blatant steal of Love is All's Felt Tip?